Peugeot 208 exclusive preview | What Car? 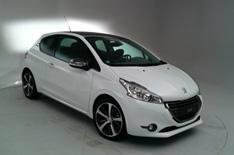 The Peugeot 208 doesnt go on sale until the summer, but What Car? has been given exclusive access to the new supermini. Peugeot delivered three- and five-door versions of the 208 to What Car? HQ in Teddington, and six lucky readers were given the chance to experience the car first-hand. See what they thought of the car in the video below, and for more Reader Test Team videos, have a look through our archive.